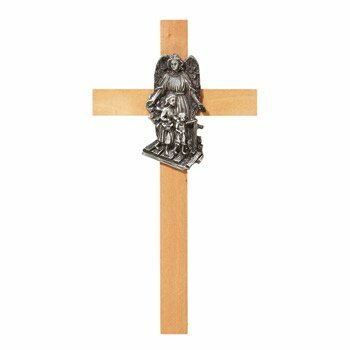 This cross from James Brennan™ features a oak finish cross with an exclusive emblem, and is hand-finished in antique pewter. 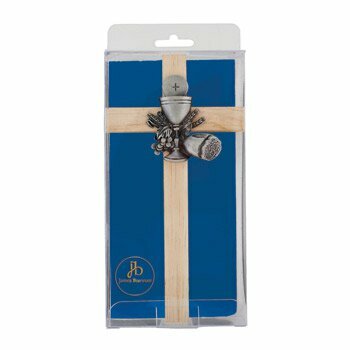 Comes gift boxed for easy gift-giving (example gift box shown). Sure to make a treasured new baby or Baptismal gift.